This tour will start at 08.30 AM and take to east part of Bali. 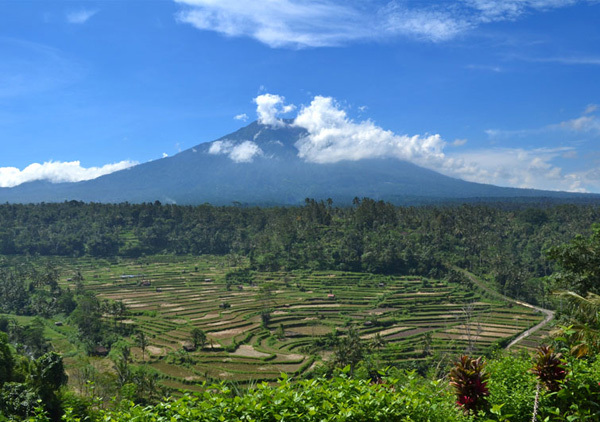 The part of Bali Island brings certain pleasure and new experience anyone will certainly love. First stop at KERTA GOSA. located in the centre of Klungkung town. Kerta Gosa was built in the 18th century when Bali was ruled by the dynasty of King Kresna Kepakisan. Separated from the Puri (palace) there is a complec of justice buildings, the hall of justice called Kerta Gosa. The floating hall called Bale Kambang, and the water pool called Taman Gili. The ceilings of the buildings are covered by traditional paintings Kamasan style. They were replaced by using new material in 1930 and renewed in 1960. The palace it self was destroyed during the war between the Dutch and the Kingdom in Bali in the beginning of 20th century. 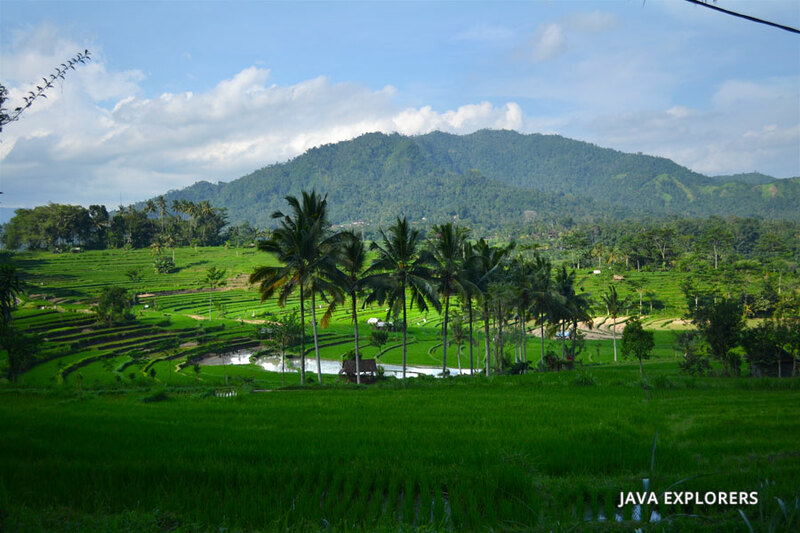 The entire clusters area was originally named Taman Gili and Kerta Gosa was the name given to two Bale buildings, Bale Kerta Gosa and Bale Kambang. Somehow, Kerta Gosa is more famous than Taman Gili. The uniqueness of Kerta Gosa can be recognized from ornamented ceiling illustrating popular artwork, conveying good against the evil painted with the 2-dimension puppet style that the Kamasan village in Klungkung regency is renowned for. 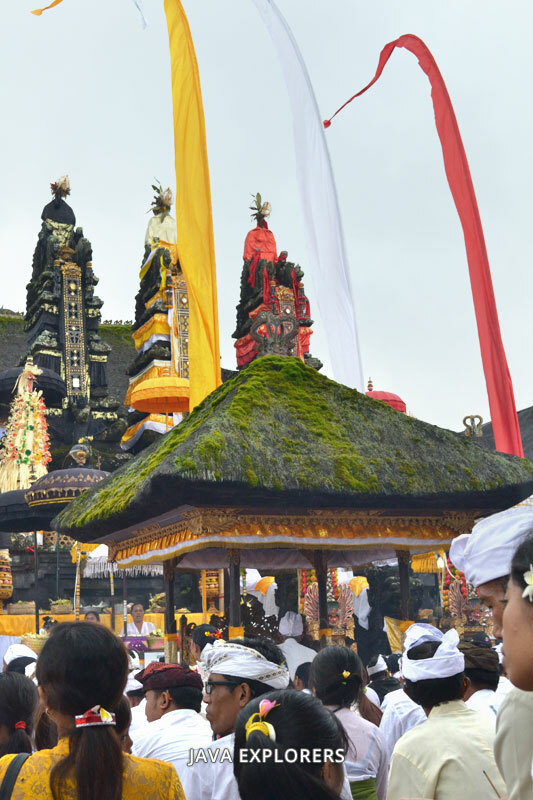 As the worthy heritage of Semarapura ancient kingdom, Kerta Gosa and Bale Kembang are now utilized as a sacred place for some Hinduism ceremonies. As historical complex, here the visitors can also find the ancient and history items such as some pictures of Klungkung King Family. Afterward drive to BESAKIH. This Tample Famouse names the Mother Temple in BALI. 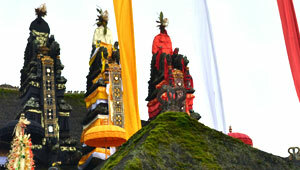 It's also implicitly said as the biggest temple on the island and in Indonesia archipelago. 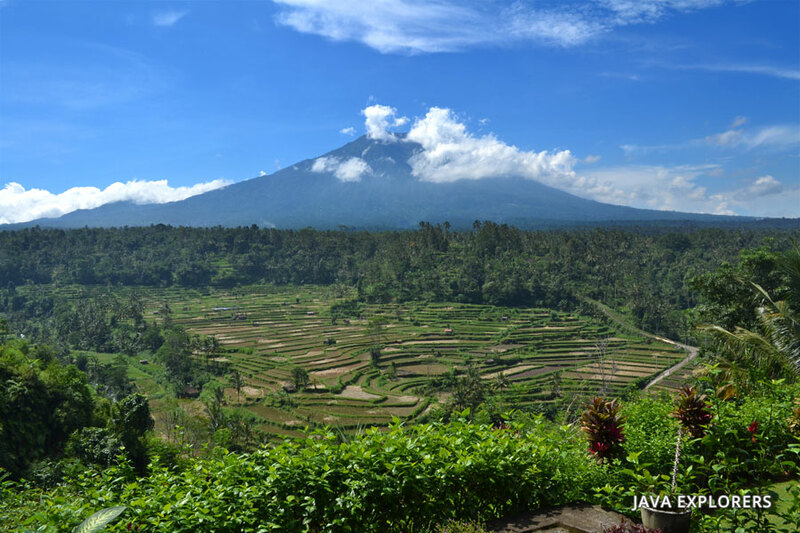 Encompassing 18 temple clusters lengthening up the mountain, this sacred temple is right on the foot of Mount Agung. The weather is relatively cool and pleasant as the area is located about 1000 meters height above the sea level. The history of Besakih name was derived from "Basuki" meaning "safe". 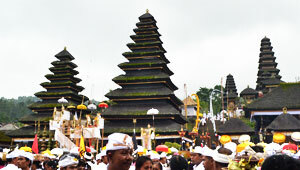 This is the first temple built in Bali by the javanese High priest Rsi Markandeya who traveled to Bali in 8th century. Besakih Temple has big complex of temple included the family temple who add later by another Javanese high priest Danghyang Nirartha in 16th century. 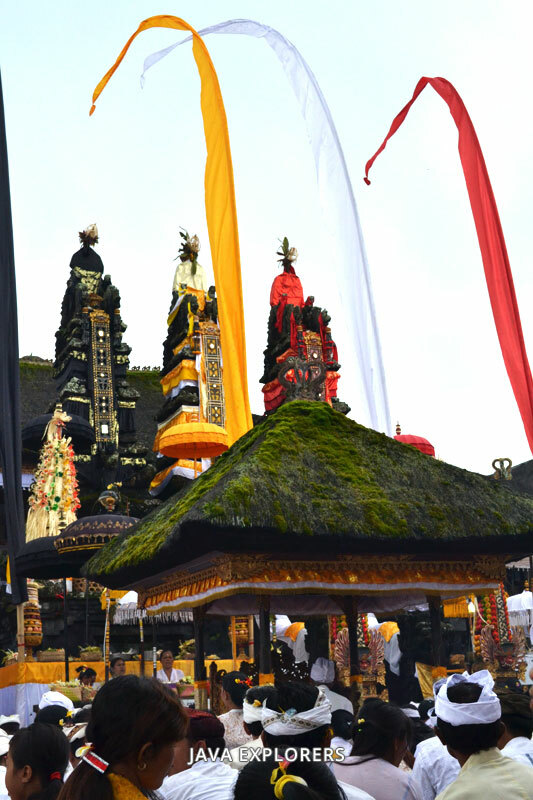 The main temple courtyard is "Penataran Agung" has a triple throne called "Padmasana Tiga" with separate seats of the trinity gods Brahma, Wisnu and Siwa. 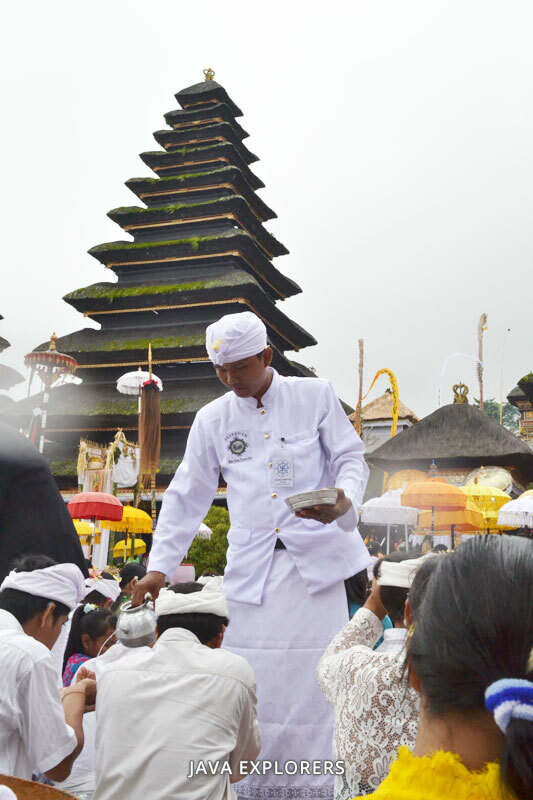 Whenever the visitors enter the temple, wearing sarong and sash is somehow strongly required to respect the Balinese tradition. Afterward drive to TENGAN VILLLAGE.TENGANAN. This Village is located in Manggis district, only 5 kilometers from the main road of Candidasa. 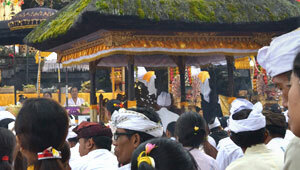 Here, the visitors can find genuine traditional Balinese environment. Some of notable events are also conducted periodically such as ceremony dances and gladiator performance. The local people of Tenganan are famous for their thoughtful skills in making 'double ikat' cloth and tied woven named "Gringsing" with applying the unique weaving techniques. The houses in Tenganan Village are built in rows, one-of-a-kind, and they seem like related one to another. In front of the house, the native display the homemade products. 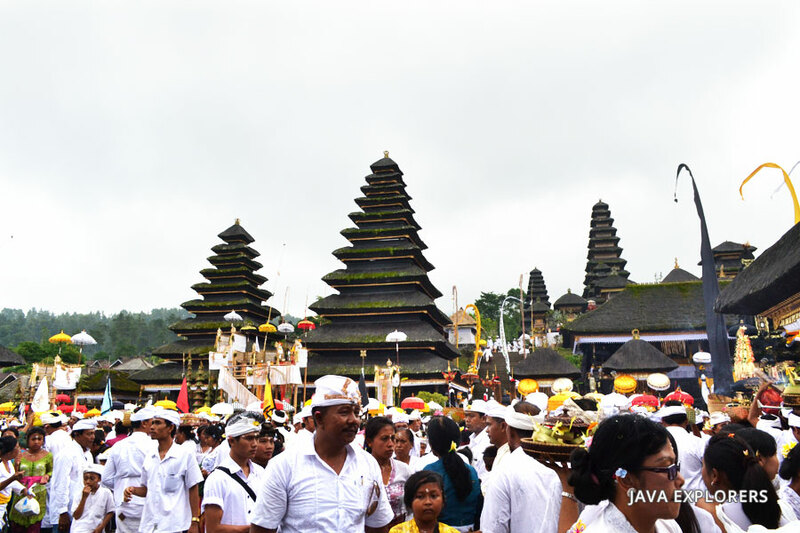 What distinguishes this village with the other places is the existence of "Mekare-kare", a Balinese ritual performing warrior dance of young teenagers. The ritual is aimed as indication that a young man has passed the requirements to be part of the village. End of the tour by visiting GOA LAWAH (Bath Cave).The temple located in Pesingahan Village, Klungkung regency. The temple built in 11th century by priest Mpu Kuturan or Mpu Rajakerta, this priest who created 4 concepts of temple in Bali. This is one important temple located near the ocean, specially use for "Nyegara Gunung" ceremony (Segara it's mean Ocean and Gunung it's mean Mountain). The Balinese people use this Goa Lawah Temple for the ocean temple and Besakih Temple for the mountain temple. The cave in the cliff fully with thousand of the bats. Drive back to your hotel in the evening. � Copyright 2018. All Rights Reserved.